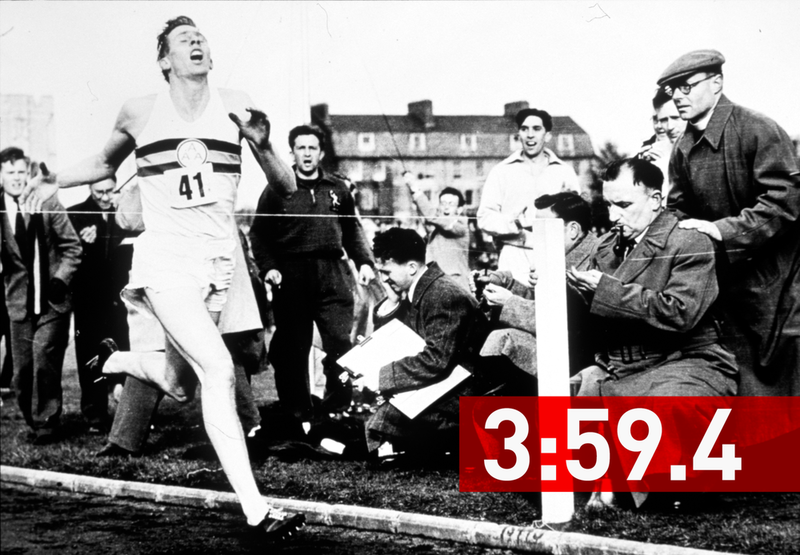 One of my fave stories is of Sir Roger Bannister and his triumph in breaking the 4-minute mile mark in 1954. His fortitude and endurance are to be admired. Incredibly, he only trained one hour a day as he was in medical school at the time and did something once thought impossible. Moreover, he did it at a time before Gatorade, fancy sneakers, Fitbits . . . even Strava. More than the physical achievement, it's the mental that deserves attention. The 4-minute mark had eluded runners for generations and thought unachievable. Once he did it, someone else broke the record just a month later. Even today, more people have summitted Everett, than run a 4 minute mile. So we'll be doing some 4 minute miles on a bike for Bannister. It's about .25 miles running . . . 1 mile on a bike that is. So here's to Sir Roger!